The US is committed to maintaining its “vital” but “complicated” relationship with Pakistan, the Obama Administration has said amid a row over a decision by the Congress to block the sale of eight F-16 fighter jets to the country. “It is an important, vital relationship that we strongly believe in. Is it complicated at times? Absolutely it is. And do we see eye-to-eye on every issue with Pakistan? 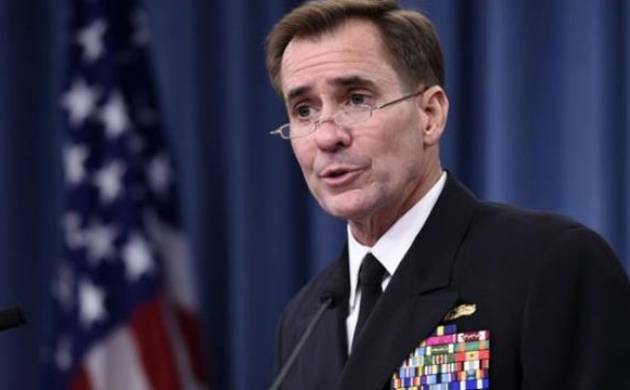 No, we don’t,” State Department spokesman, John Kirby told reporters at his daily news conference. “But that’s why the relationship matters so much because we have shared threats and shared concerns, shared interests in the region. And we’re going to continue to work at it,” he said yesterday. Kirby was responding to a question on the statement made by Prime Minister’s Adviser on Foreign Affairs Sartaj Aziz that his country’s relationship with the United States has been under stress for the past three months. Kirby said he has not seen the statement. “I didn’t see his comments. So I’m going to refrain from responding specifically to that sentiment,” he said. Kirby did not agree when asked if the US-Pakistan ties are not at the best of times these days. “It is an important relationship that we continue to work at very, very seriously. We’re going to remain committed to. And I would not share that characterization of it,” Kirby said.